Sales data shows the cost of SSD memory dropped by almost half in the last year alone. Looking to upgrade your gaming rig? It can be a daunting prospect, but there's some reason to be cheerful. 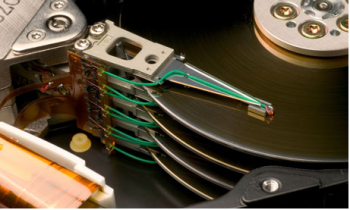 Though the price of hard drives has gone up over the last twelve months, thanks in part to floods that severely damaged Thailand's manufacturing plants, there is a viable alternative to the spinning drive that comes as standard in the average desktop machine. Flash drive memory has fallen in price by more than half over the past year alone according to a recent Tech Report analysis of sales figures, and in some cases the price per gigabyte is in the $0.82-0.90 range; less than a buck per gigabyte. According to the data, the most expensive drives come with Intel Inside. The Intel memory drives come at a minimum price tag of $1.39 per gig for the 520 Series, which is a 240GB device. Meanwhile the cheapest alternative 240GB item is the OCZ Agility which prices at $0.86 per GB, almost 40% less expensive than its Intel counterpart. However if you wanted even more memory at less cost there's always the Crucial m4 256GB, which can cost $0.82 per gig. Though HDDs will continue to be the default option for desktops for the immediate future, this may well change. Windows 7 supports SSD, and Apple is very much in favour of flash for its laptops and MacBooks. Meanwhile sales of SDDs have gone up dramatically, increasing by seven times the sales volume they generated this time last year, while the demand for HDDs has dropped by as much as 40%. So long as SSD prices keep falling while HDD costs stay high - and at this point in time there's no reason to expect otherwise - if you want to tweak your machine, solid state may be the most cost effective way to achieve like-for like (or better) memory capacity.